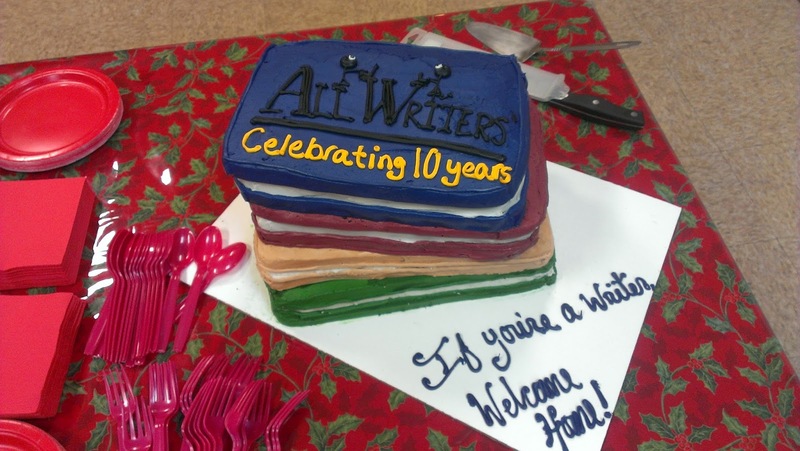 Tonight I am attending the 10th Anniversary of the opening of AllWriters' Workplace and Workshop, a creative writing studio in downtown Waukesha. The studio hosts a "Friday Night Free For All" event four times a year where students and faculty of the studio share their work in front of a local audience of students, friends and the general public. I've read a few times at these events and they're a lot of fun. The events have outgrown the studio's space so they are now held at the community room at the local Baptist Church. The reason I mention this is that this studio has everything to do with my success as a writer, (and I feel like I'm just getting started), and I feel it deserves mention again. It is the sole reason Dirty Shirt came to be. It is the sole reason Written Life -my forthcoming poetry collection- came to be. Ditto for the 3 fiction pieces. I've told the story many times that when I walked into the studio 6+ years ago, I wasn't sure I was cut out to be there. Apprehensive about meeting and working with established writers, I thought I might be in over my head when the first class I "audited" began. Well, by the end of that class I knew that this was EXACTLY where I belonged. The studio and it's students have pushed me to be better, albeit in an entirely encouraging and fun environment. Every week I come away with a better sense of worth; that my writing means something to people - even if it's just the group that night. Each week we are asked what our goal for the week is. It can be anything from a couple poems, to a short story to a chapter in an working novel. The thing is, I take this goal setting very seriously. There was a saying that said "Being a writer is basically like having homework every day for the rest of your life." I've met some amazing, fun, brilliant, beautiful people through this studio. Buddhist poets, YA Fantasy writers who take me to strange and wonderful lands, mystery writers with day jobs, memoirists trying to heal from hurts, and innumerable wild fiction writers who write about everything from an opera star flea to witches, warlocks and shape shifting dogs. The writing is all a little crazy, dreamy, eclectic, creative, mind blowing, sensory evoking, sad, happy, joyful, despondent, dark, repulsive, and redemptive. If you are at all thinking that you'd like to write someday, the single best piece of advice I can give you is to get into a group. 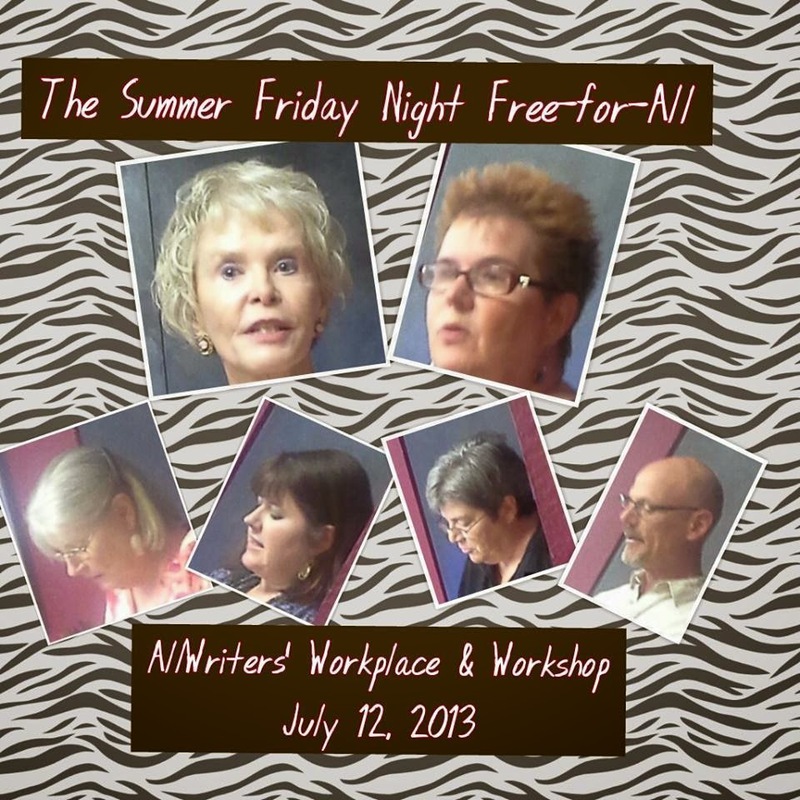 It will make you a better writer and if the group has the right chemistry, it will make everyone better. That's what AllWriters does. Makes everyone better. This past year there were 19 books published by students of the studio. NINETEEN. Tell me how that cannot speak for itself. And so, I'd like to say, Happy Birthday, AllWriters'. You've made the literary world a better place. Yes, Kathie has made the world a better place as have all of you. 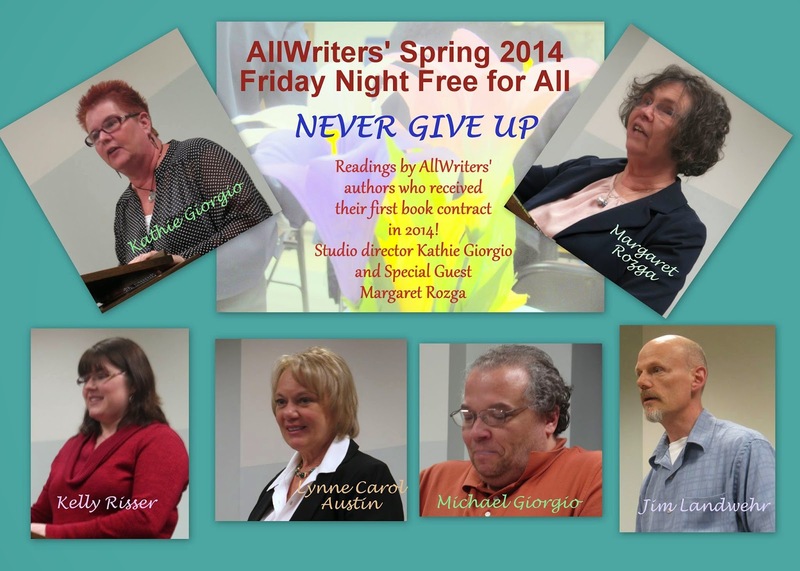 What a fantastic group of writers!